Eschew the tourist crowds and head to Cape Leeuwin Lighthouse and Lake Cave. Escape the urban bustle at Jewel Cave and Surfers Point. Change things up with these side-trips from Margaret River: Dolphin & Whale Watching (in Dunsborough) and Smiths Beach (in Yallingup). 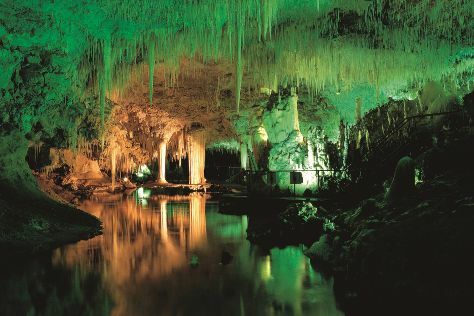 The adventure continues: kick back and relax at Cowaramup Bay, explore the fascinating underground world of Mammoth Cave, do a tasting at Howard Park - Margaret River Winery and Cellar Door, and stroll through Margaret River Mouth Beach. To find maps, traveler tips, and more tourist information, refer to the Margaret River tour itinerary planner . Manchester, UK to Margaret River is an approximately 28-hour combination of flight and bus. You can also do a combination of train, flight, and bus; or do a combination of train, bus, and flight. The time zone difference moving from Greenwich Mean Time (GMT) to Australian Western Standard Time (AWST) is 8 hours. Wrap up your sightseeing on the 11th (Sat) to allow time to travel to Broome. Step out of the city life by going to Nature & Wildlife Tours and Cable Beach. Broome Gallery and Our Lady Queen of Peace Cathedral are good opportunities to explore the local culture. Next up on the itinerary: identify plant and animal life at Malcolm Douglas Crocodile Park and Animal Refuge, get a new perspective on things with Boat Tours & Water Sports, and take in the dramatic natural features at Gantheaume Point. To see reviews, traveler tips, other places to visit, and more tourist information, you can read our Broome trip itinerary planner . Do a combination of bus and flight from Margaret River to Broome in 9 hours. Alternatively, you can drive; or do a combination of bus and train. In August, plan for daily highs up to 36°C, and evening lows to 17°C. 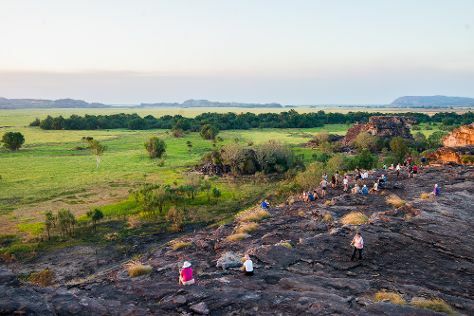 Wrap up your sightseeing on the 14th (Tue) to allow time to travel to Jabiru. Jabiru is a town in the Northern Territory of Australia. Kick off your visit on the 15th (Wed): explore the ancient world of Ubirr and then explore the striking landscape at Maguk Gorge. Get ready for a full day of sightseeing on the 16th (Thu): identify plant and animal life at Yellow Water, see the interesting displays at Warradjan Cultural Centre, and then steep yourself in history at Nourlangie Rock. To find traveler tips, other places to visit, where to stay, and tourist information, use the Jabiru trip planner . Do a combination of flight and bus from Broome to Jabiru in 8 hours. Alternatively, you can do a combination of flight and car; or drive. You'll lose 1 hour traveling from Broome to Jabiru due to the time zone difference. Wrap up your sightseeing on the 16th (Thu) early enough to drive to Darwin. 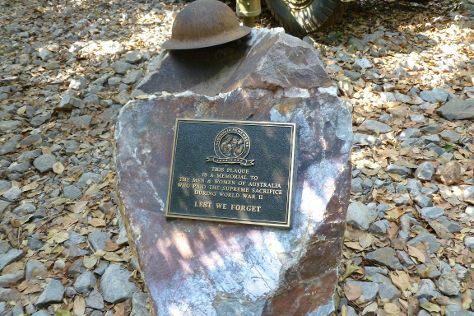 You'll explore and learn at Defence of Darwin Experience and Darwin Aviation Museum. Visiting Nature & Wildlife Tours and Berry Springs Nature Park will get you outdoors. Go for a jaunt from Darwin to Berry Springs to see Territory Wildlife Park about 40 minutes away. Next up on the itinerary: look for all kinds of wild species at Crocosaurus Cove and view the masterpieces at Mason Gallery. For ratings, maps, reviews, and more tourist information, go to the Darwin online day trip planner . Traveling by car from Jabiru to Darwin takes 2.5 hours. Alternatively, you can take a bus. In August, plan for daily highs up to 37°C, and evening lows to 22°C. Wrap up your sightseeing on the 19th (Sun) early enough to travel to Cairns. You'll discover tucked-away gems like Historic Village Herberton and Trinity Beach. Take a break from the city and head to Palm Cove Beach and Davies Creek National Park. Step out of Cairns with an excursion to Australian Butterfly Sanctuary in Kuranda--about 36 minutes away. Spend the 20th (Mon) among aquatic life with a scuba or snorkeling tour. It doesn't end there: admire the natural beauty at Botanical Gardens. To find where to stay, ratings, traveler tips, and other tourist information, read Cairns trip itinerary planner. Traveling by flight from Darwin to Cairns takes 5.5 hours. Alternatively, you can drive; or take a bus. Expect a bit cooler weather when traveling from Darwin in August: highs in Cairns hover around 31°C, while lows dip to 20°C. Finish up your sightseeing early on the 22nd (Wed) so you can go by car to Port Douglas. Discover out-of-the-way places like Daintree Discovery Centre and Spas & Wellness. Get in touch with nature at Mossman Gorge and Agincourt Reef. Spend the 24th (Fri) among aquatic life with a scuba or snorkeling tour. There's more to do: admire nature's wide array of creatures at Wildlife Habitat Port Douglas. For maps, ratings, other places to visit, and tourist information, read our Port Douglas vacation planning site . Traveling by car from Cairns to Port Douglas takes 1.5 hours. Alternatively, you can take a shuttle; or do a combination of bus and shuttle. In August, daytime highs in Port Douglas are 31°C, while nighttime lows are 19°C. Cap off your sightseeing on the 25th (Sat) early enough to travel to Sydney. Satisfy your inner culture vulture at Sydney Opera House and Darling Harbour. Relax by the water at Bondi Beach and Manly Beach. 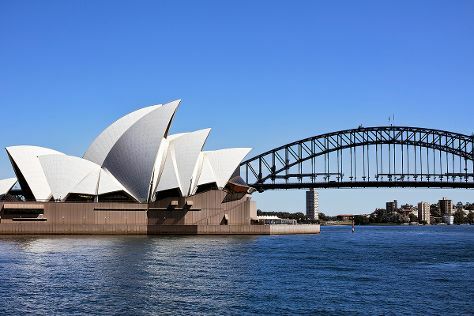 Next up on the itinerary: wander the streets of The Rocks, examine the collection at Hyde Park Barracks Museum, tour the pleasant surroundings at Bondi to Coogee Beach Coastal Walk, and take in the views from Sydney Harbour Bridge. For more things to do, where to stay, ratings, and other tourist information, refer to the Sydney trip itinerary app . Getting from Port Douglas to Sydney by combination of shuttle and flight takes about 7 hours. Other options: drive; or do a combination of shuttle, bus, and train. Expect a bit cooler temperatures when traveling from Port Douglas in August; daily highs in Sydney reach 22°C and lows reach 11°C. Cap off your sightseeing on the 28th (Tue) early enough to travel back home.